In lieu of flowers memorial donations may be made to Old Union Cemetery and left at the funeral home. Eula Bernice Elliott Estes Neely Root was born to Charles Edward (Edd) Elliott and Neva Bernice Jones on the old Griffith place south of El Dorado Springs, just after midnight on December 13, 1921. She left this life on December 5th, 2016—just eight days short of her 95th birthday—the same way she lived it, with great dignity, grace, and spirit. To the end of her life she retained a childlike curiosity, seeing menageries in the clouds and wondering where the next road would lead. She instilled a strong sense of responsibility in her children, along with a passion for reading and learning and exploring. She is survived by her son Robert (Bob) Estes and several nieces, nephews, and cousins. Bernice nursed three husbands through sickness and death. The children of her first marriage to Lecil Ernest Estes were Karen Lee Estes Harris (born 1943), who passed away in 1966, and Bob Estes (born 1947), who splits his time between the family farm near Caplinger Mills and archaeology work in New Mexico. Lecil died of cancer in 1975. She later married Evan Neely and then Donald Root, both of whom she survived. Her younger sister Margaret Elizabeth Elliott Barnes preceded her in death in July of 2012. Bernice was an inquisitive, imaginative and musical child, giving her first performance before age three, singing and whistling at a rural school program. She couldn’t remember not being able to whistle. As related in Gleanings, her book of memoirs, her whistling made the grandmothers uneasy. They said a whistling girl and a crowing hen always come to some bad end. Later she and Margaret entertained family, friends, and church fellows by singing and playing the piano. She belonged to a band and entertained at the local nursing home as long as she was able—well into her eighties. Her father, Edd, was a much-loved Missionary Baptist preacher who ministered locally and in the western states. She always related how she was saved on August 3, 1938, at Hazel Dell Church after a long search for God. With a contrite heart and in a moment of discouragement, she was saved while the congregation was singing Amazing Grace. She was a long-time member of the Old Union Missionary Baptist Church where she will be interred in the church cemetery, alongside first husband Lecil and daughter Karen. As salutatorian of her senior class, Bernice earned a scholarship to business school in Springfield. But times were hard and her mother was not well, so she stayed home and took care of family responsibilities. During World War II she married Lecil and reared a family on their farm near Caplinger Mills, Missouri—but she dreamed of becoming a nurse. When the Cedar County Memorial Hospital opened in 1960 she became a Nurse’s Aide, then went on to become an LPN. She subsequently served 13 years as school nurse for the El Dorado Springs School District, where she became popular due to her caring attention to the students—many of whom became her friends and helpers for the rest of her life. During her career she was also office nurse for Doctors Stewart and Magee, and she was Dr. Casey’s first office nurse upon his graduation from medical school. From 1978 through 1998 she served as vice president of the Board of Trustees at the hospital where she had begun her nursing career. In her late 70s she became interested in computers and their exciting possibilities. She joined the local writer’s club and completed several installments of her childhood memories that she added to her website. She then incorporated those into her book, Gleanings, of which she was very proud. She also enjoyed writing poetry. Bernice suffered a stroke in June of 2012 that limited her activities—luckily, she retained her lifetime of memories and Bob spent many hours recording them. She was a caring person who was loved by everyone and who touched many lives. She died peacefully at her home with family and friends, and will be sorely missed throughout the community. Velda Pitts is to be lauded for giving up a year and a half of her life to provide constant home care during final times. 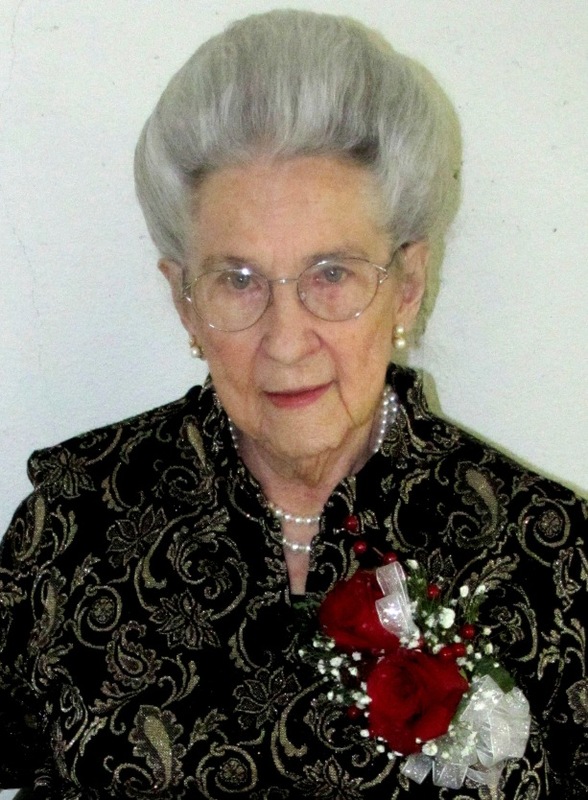 Funeral services for Bernice Estes Root were held on Saturday, December 10, 2016, at 10:00 a.m. at Bland-Hackleman chapel with Bros. Ralph Benham and Lynn Williams officiating. Music was provided by Karen Pate and Becky Gazaway. Bro. Keith Irvin officiated at the interment in the Old Union Cemetery, which was under the direction of Bland-Hackleman Funeral Home.